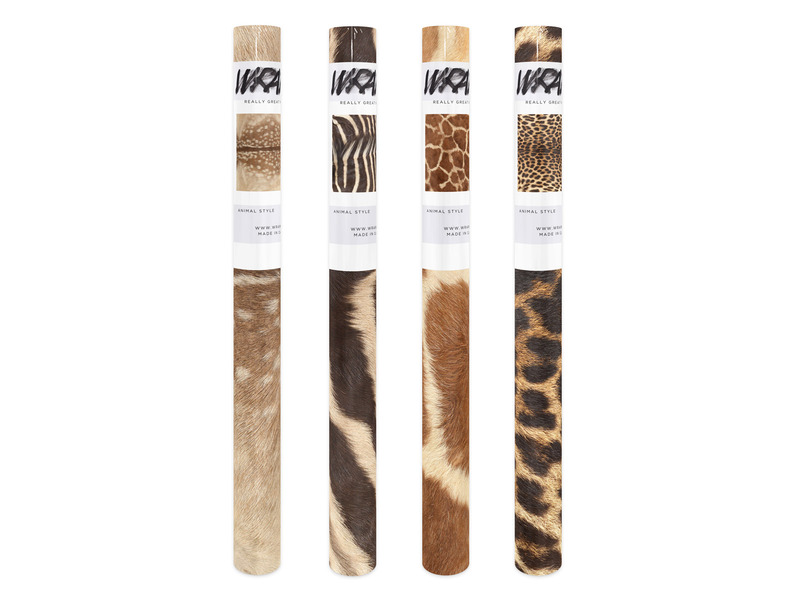 Produced after visiting a taxidermy store in Los Angeles, Wrapped’s Spot Wrapping Paper is the product of a high definition photograph of genuine Animal Print hides. These arresting prints available in Deer, Leopard, Giraffe or Zebra wrapping papers are sure to make your friend or loved one go wild. Every set comes complete with 2 rolls of rolling paper, 6 gift tags and 2 fancy wine bags that enhance any celebration with a pop of pink on the interior that’ll have you cut-loose in no time. Made in the United States. Available in Deer, Leopard, Giraffe, or Zebra. Dimensions: 2 Rolls of Gift Wrap – 19.5 inches by 27 inches per roll, 6 Gift Tags – 2 inches by 3.75 inches, 2 Standard Size Wine Bags.